Where Can I Find More Writing From Stephanie Lee? Is Stephanie Lee a Famous Korean Actress? Is Stephanie Lee a Fitness Trainer? How Do I Find Stephanie Lee on Lifehacker? What Is Stephanie Lee’s Facebook Page? What is Stephanie Lee’s Instagram? Article at a glance: When it comes to losing weight, you hear it all the time: you just need to eat less and exercise more. Well, no duh. And yet it’s that simple and that hard, as evidenced by over two-thirds of the population being obese. 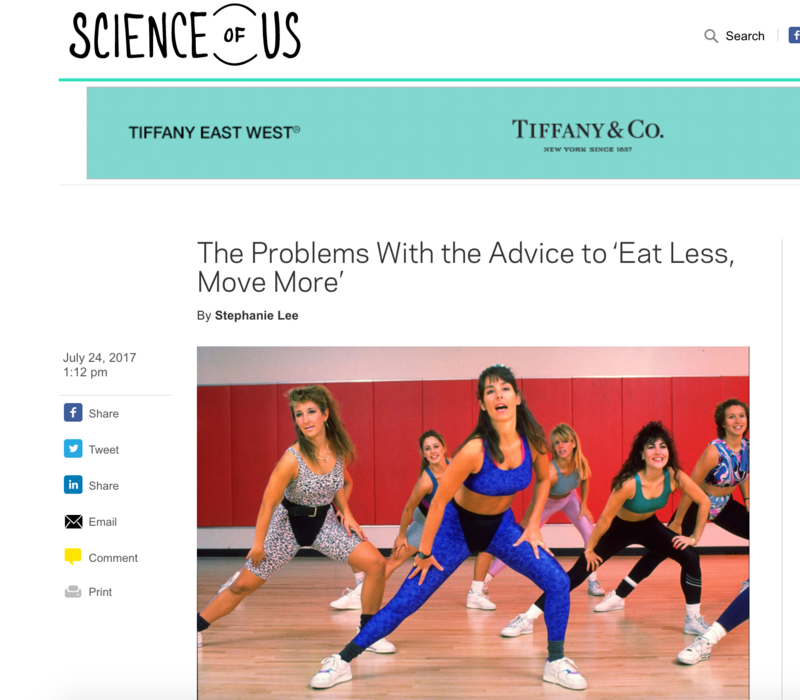 How the article got published: Science of Us is — well, was — a behavioral psychology-focused sub-site of New York Magazine. Science of Us has since merged with The Cut, also a New York Magazine sub-site. Originally, I had pitched the idea as how hollow and vague “eat less, move more” was. That was it. But the draft I delivered ended up shedding more insight on how the advice perpetuated the ideas that using willpower (to eat less) was a losing battle and exercise (move more) wasn’t as important toward weight loss as we all thought it to be.